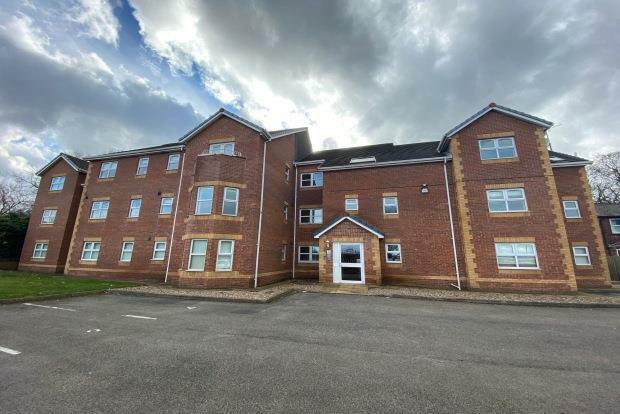 2 Bedroom Apartment To Rent in Chesterfield for £550 per Calendar Month. Second floor stylish apartment situated in a well presented and maintained block with private electric gated entrance. Briefly comprising of two double bedrooms with ensuite to master bedroom and a fully equipped kitchen. St johns court is within walking distance to local shops and great transport links to the M1 and Sheffield. Comprising of an entrance hall way with alarm controls and two storage cupboards. Open plan kitchen and living area with a range of wall and base units having a built in washer dryer, dishwasher, oven hob and hood and fridge freezer. Living area with Juliett balcony and space for dining table. Family bathroom with bath, wc and wash basin with lino fitted to floor being part tiled. Master bedroom being a double room with ensuite having a shower only. Second bedroom is a double room. This property is decorated to a neutral taste with neutral carpets, blinds fitted to each window and finished to a good standard.